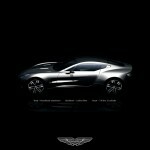 Aston Martin Voyage Boat has been designed as a tribute the Aston Martin brand for its high performance vehicles. 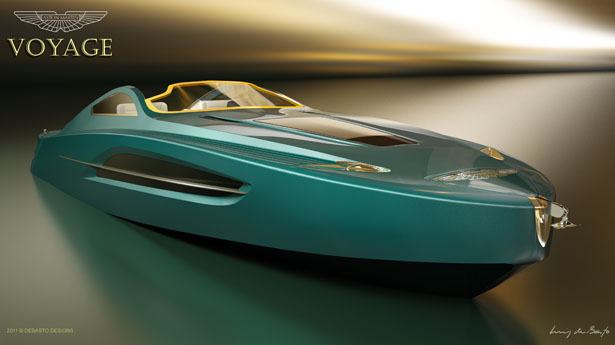 The main objective of this project was not only to design luxurious and attractive representation of the famous car lines in water, but also to design a fully functional boat that is possible to be built anytime upon request. So, no futuristic concept here. From the very first start, this design has been decided to incorporate nautical features such as anchors and cleats. The voyage name is following the brand’s tradition of naming cars with the initial V. It also represents a movement, a change, a search of new horizons, perfect for the type of people that are always on the move with style and elegance. 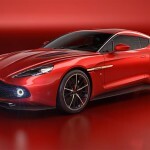 Aston Martin Voyage Boat carries the characteristic of Aston Martin cars, you’ll notice the roof, the window shapes, front and rear lights, side ventilation, hood details, and also the frontal grille here is translated into the windshield shape. 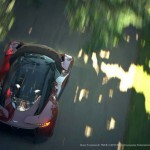 Like so many yacht designers, besides being an architect by training, I also have a passion for cars and car design. Many of us have talked about the design similarities between boats and cars but I think it’s more fascinating to talk about the differences. 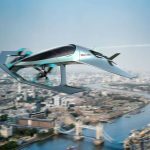 Similarities are actually very few, counting the fact that both are vehicles powered by engines that need air intakes and exhausts. Both have windshields but of course cars have wheels and boas have hulls. 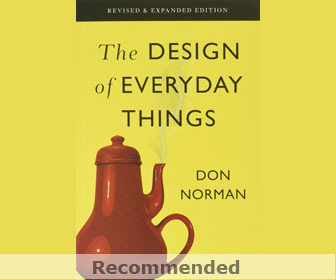 Other than that, everything is different, starting with the scale and proportion. However, the most important difference in my opinion is the fact that car designers are most of the time trying to resolve surfaces between the wheels, making them exciting and exuding power and tension and yacht designers are busy resolving edges which later will be filled with surfaces. The main reason is scale and the fact that we walk on the boats from the aft deck to the fore deck and we don’t walk on a car hood. Boats have sheer lines and cars have belt lines. 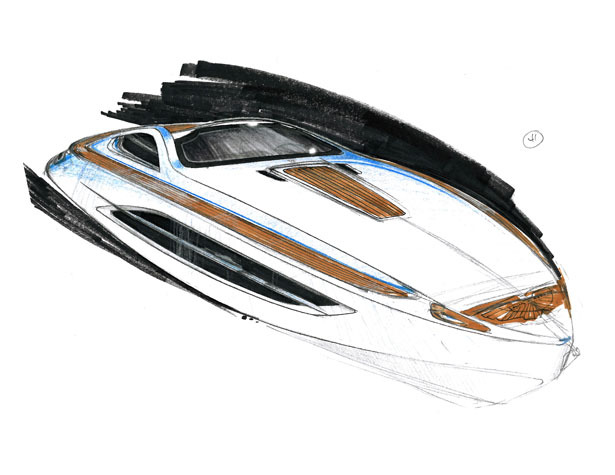 So, as a yacht designer and as an Aston Martin owner, and having designed some sport boats as the Magnum 44 Banzai and 51 Bestia and the Otam 55 recently introduced, I decided to take a creative exercise and design a 55’ high performance boat inspired by the beautiful lines of the Vantage, Rapide, DBS and Virage. I wanted the result to be not only an interesting interpretation of the famous car lines in the water but a fully functional boat, able to be built anytime upon request. I started by trying to understand what makes the AM cars so interesting and even before attempting to put the first line for the boat on paper I played around with the image of the brand however I did not want to apply it to another sports car but to something else different. What would be the look of an Aston Martin vehicle, always a hi-performance machine but this time as an ATV (All Terrain Vehicle)? Not surprisingly I came to the conclusion above, it’s all about scale and proportion but it’s also all about details. The overall shape of the ATV is almost an extrusion of the radiator grille. But again, how to carry that on a boat? 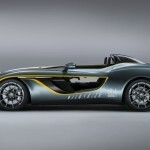 With the idea of not merely making a transposition of a car into a boat, like so many other boat designs that pay tribute to famous car manufacturers, the biggest challenge was exactly that, how to best feature the classic Aston Martin icon, the radiator grille. Determined to maintain the signature element of the brand and constrained by the fact that boats don’t have radiators by definition, the shape needed to be incorporated somehow. After several sketches it became obvious that the only solution was to shape the windshield like the radiator, so the well known iconic shape has been harmoniously incorporated as a windshield. The recess on the sides creates a natural landing for a handrail on the inside of the lateral windows and eventually can be carried out on the shape of a hard top. After many other sketches which were carefully scanned to the computer, first to create the profile and later to build the 3D model, the boat finally emerged highlighted by the AM racing team colors yellow/orange, while the hull and deck are in dark green with a white interior. A white and red version is only shown. The Aston Martin Voyage boat was born. Other classic AM design elements can be recognized across the boat’s overall shape and details: the front engine ventilation exit – which in the car is placed above and aft of the front wheels – becomes an oversize window in order to provide natural light to the interior. The partially vertical stem from the deck to the chine creates a more powerful sense of mass. The engine ventilation intake over the hood has been adapted to create a sun pad and a hatch. Resembling the headlights optical group here we have the cleats and the turning lights are now navigation lights. Thanks to a relentless attempt to bring a land vehicle to a marine one without forgetting all the nautical features such as a functional anchor as well as an hatch to house the windlass, other details like the tail lights become the engines exhaust and the transom has a retractable swim platform for a closer contact with the water. 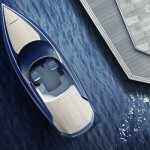 Inspired by innovative nautical materials which do not interfere with the tradition, the walk around is made of a synthetic teak, in the same color of the boat. The spoiler in the car is the continuation of the walk around on the boat and since teak is not used we can make curves to follow the shape of the transom and change width of the planks. The cockpit layout of Aston Martin Voyage boat is symmetric with access through the center, large seats that can convert into sun pads, the helm seat and the companion seats which are double size. The access to the interior is made by a hatch similar to the center console in the car. 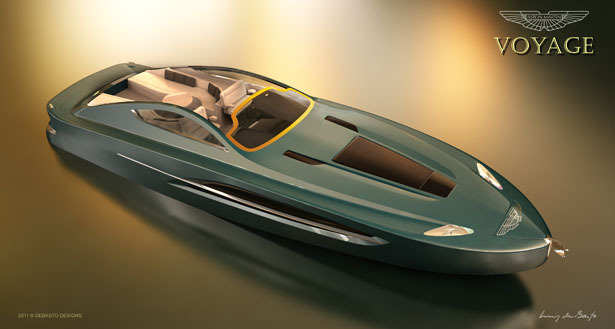 No concept vehicle can be shown to the public without a proper name and this Sport Boat concept is born with the perfect name: Voyage, evocative of the brand’s tradition of naming the cars with the initial V, but also suggestive of movement, change and search of new horizons for a distinct type of people, always on the move with style and elegance. This creative exercise could have turned to be many different things with a very different formal result. When it comes to yacht design concepts it’s easy to transcend the laws of physics and also of the market but I tried to keep in mind one of the most appreciated qualities of the brand, a certain and special timeless feeling. I have to admit that I had a lot of fun from start to finish trying to achieve it. 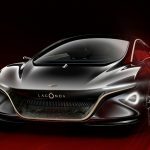 The various design features, trade¬marks and other materials containing intellectual property of Aston Martin Lagonda Ltd are used with the prior permission of Aston Martin and this design concept is not intended for pro-duction or any commercialization. 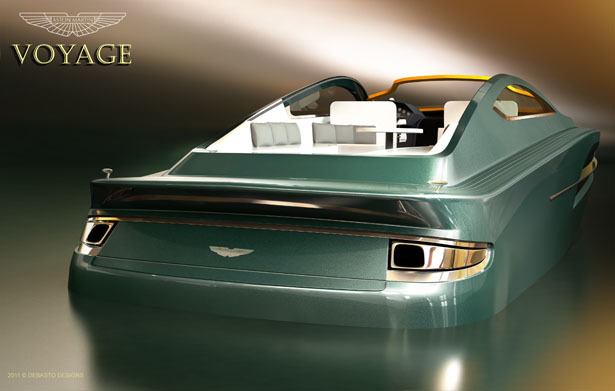 Tuvie has received “Aston Martin Voyage Boat” from our ‘Submit A Design‘ feature, where we welcome our readers to submit their design/concept for publication. 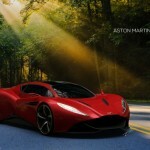 Tagged as air intakes, aston martin cars, car, car designers, Designer, luiz de basto, scale, windshield, Yacht, yacht designers. 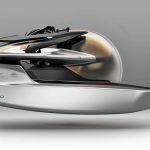 Project Neptune: Futuristic Concept Submersible from Aston Martin and Triton Submarines LLC. 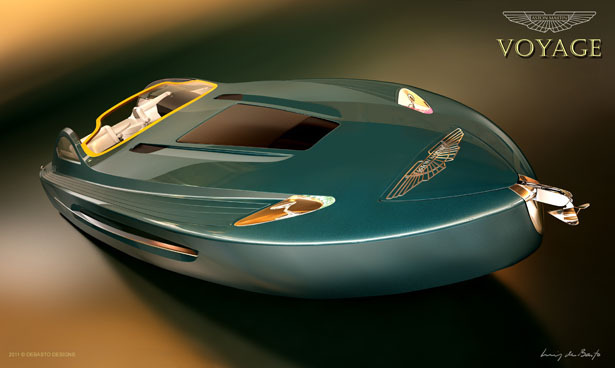 Awesome, this & that Porsche boat concept, this Id sail anytime, Hoorah. 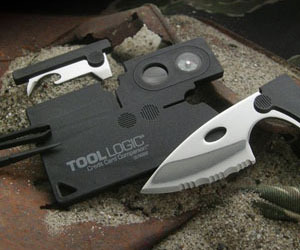 Now add some Q devices for 007 use. Must produce for FL & HI, PR, USVI markets alone.